The evolution of tea in Ceylon is an extraordinary story. While tea is the obvious focus in this tale, it is in fact the culminating result; the icing on the cake if you will; of what was a remarkable plantation enterprise that commenced under British colonial rule post-1796. This enterprise embarked with coffee growing as its core harvest, and indeed, the first coffee plantation preceded tea by nearly half a century. Ceylon coffee progressed to being amongst the world’s best, before the ‘coffee rust disease’ decimated the industry, by the 1870s. This gave rise to the tea industry of Ceylon, which not only flourished, but proceeded to gain repute as the world’s finest tea. While James Taylor is the rightfully acknowledged pioneer, the success of the industry had numerous benefactors, across multiple fields. Roads, railways, bridges and tunnels; botanists, engineers, surveyors, and even politicians. It was this cohesion and collective contribution from the various professional spheres that enabled the industry to prosper as it did. The Estate Register is a record of most, if not all of the plantations established, at some point in time or another. These records have been obtained from the Ferguson’s Directories. 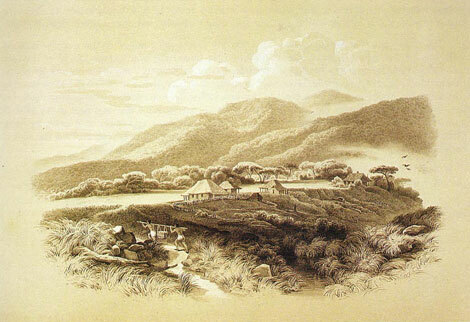 Several plantations had their beginnings in coffee before switching to tea. Many are still in operation, while some have merged with neighboring plantations, and others have ceased to exist altogether. The Estate Register data is extracted from the Ferguson’s Directories. The first phase of the Register took in available data from 1871 through to 1930 – with gaps in-between. For example, while we had the data for 1871-72, the next available year was 1880-81. In phases to follow, it is our intention to extend this data pre 1871 and post 1930, as well as fill in data for the gap years. The Ferguson’s Directories commenced in 1859 and concluded in 1999-2000, and our objective is to have the data from every volume recorded in our Estate and Planters Registers’. Data entry has been a painstaking process – not the least due to the poor condition of the documents from which the information was extracted. Consequently, the information is not flawless, and the process of cleaning up the database will be an on-going exercise for the foreseeable future.